In southeastern Mexico, tucked within the Yucatan Peninsula, the charming city of Merida is coming into its own. Historic colonial buildings and museums combine with inventive restaurants, trendy boutiques and green spaces, plus a relaxed vibe that’s well-suited for families. 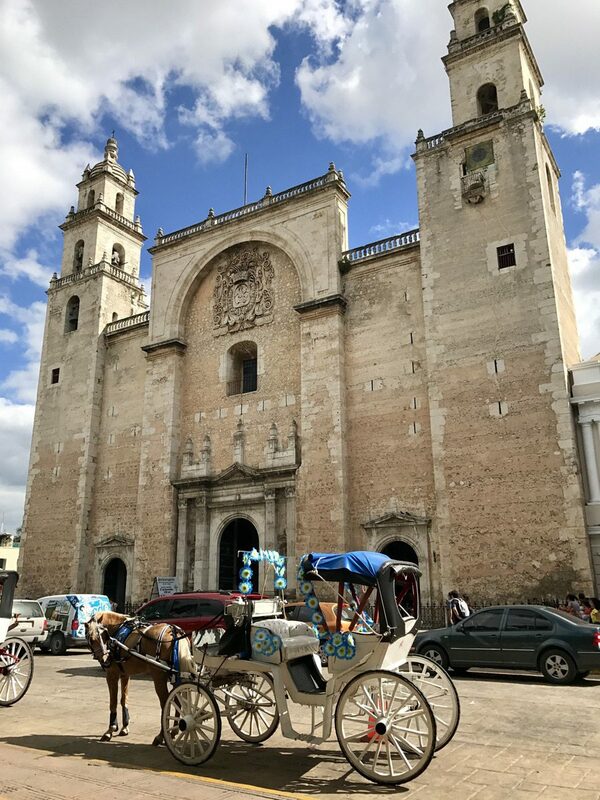 A UNESCO World Heritage site, Merida works very well as part of a beach and cultural itinerary if combined with neighboring Tulum, which is exactly what our family did. We even brought along grandparents and a fun uncle! With less than a million residents, Merida was small enough for us to explore at our own pace. We started at the zocalo, the main downtown square, where you’ll find the historic cathedral with horse carriages parked outside and pastel-hued government buildings. It’s worth popping into the Palacio de Gobierno, the government office building, for a bit of historical context. The second-floor hall features detailed murals and paintings by artist Fernando Castro Pacheco that highlight the Yucatan state’s history, from Spanish conquest to the sisal plantations that helped Merida prosper in the 20th century. Pacheco’s mural of a man rising from maize, or corn, is particularly powerful and stunning. After this dose of history, the kids will likely be ready for a break. Thankfully, there are several heladerias (ice cream shops) around town, including the famous Sorbeteria El Colon and the more hipster-ish Pola Gelato Shop. Lined with ritzy mansions and well-preserved colonial buildings, the Paseo Montejo is a wide avenue inspired by Paris’ Champs-Elysees. Along the avenue at a roundabout is the Monumento a la Patria (Monument to the Fatherland), an impressive carved stone sculpture built in 1956 that chronicles Mexico’s history, from the Mayas through wars and revolution to modern-day. On our way into Merida from our resort, Chable, we passed by a contemporary wire-mesh-wrapped building. We later realized this was the ambitious Gran Museo del Mundo Maya, opened in 2012, which houses some 1,100 artifacts of Mayan history and life. We weren’t able to visit the museum, regrettably, but it’s easy to see why it is such an attraction. 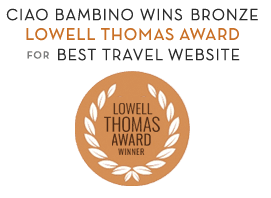 Need help planning a Mexico vacation with kids? As Merida continues to experience a renaissance, pockets of gentrification are evident. One such pocket is the Santa Lucia neighborhood and park. Just off the park were three of our favorite local stops: Apoala, where we had a fabulous meal of tostadas and salads; ki’XOCOLATL, a premium local chocolatier, where we bought chocolate bars infused with ingredients like pink pepper, peanuts and sea salt, and coffee; and the shops Kulkul Boutik and Artesanaria, which both carry beautiful textiles and home goods. Several archaeological sites are accessible from Merida, including the famed Chichen Itza, which is about 90 minutes away. We were able to visit the stepped pyramid complex en route from Tulum to Merida, but could also have made it a day trip from our Merida resort. Either way, consider visiting the complex with a guide to lend some context. El Castillo, the name given to the main pyramid, is both imposing and breathtaking, with open-jawed serpent statues at the base of the stairways.